Scarlett was asleep on the couch (and halfway on top of me) before FHE even started, and she slept through the whole thing. 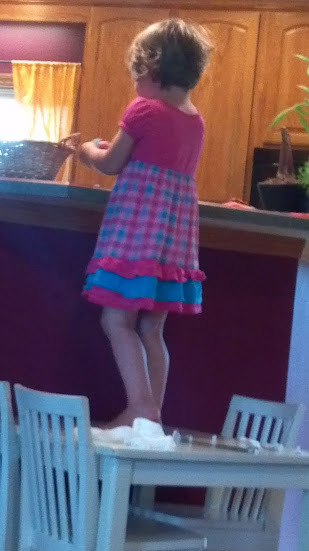 Autumn was standing on top of a table making a large ball of chewed gum while we were trying to get FHE underway. When she finally did come down, all she and Guy wanted to do was wrestle. And Steve was wearily trying his best to decipher what I had prepared for him to teach for the lesson. We tackled lesson #17 in the FHERB "Love at Home"...in a most ridiculous manner. We searched the house for a photo of a special visitor (Jesus) and talked about ways that we could make him feel welcome in our home. We read clues about people in our family who had done things to show love that day, and made a list of ways that we can show love to each other. PS - Remember to swing by That Good Part to check out their FHE experience from last night! Hmmm...I see she has a post about parenting tips from King Benjamin...I'm going to have to check that out! Ah, yes, we should have thought of that...mom and dad were wiped out! I just love you Jocelyn. That is pretty much how most of our FHE's go too...but I'm praying somewhere along the way something sticks! :) Thanks for your wonderful example! FHE was more often that kind of thing than anything else in our home. But the take-away was always good, I think. We had the best FHE of our lives last night. The difference? 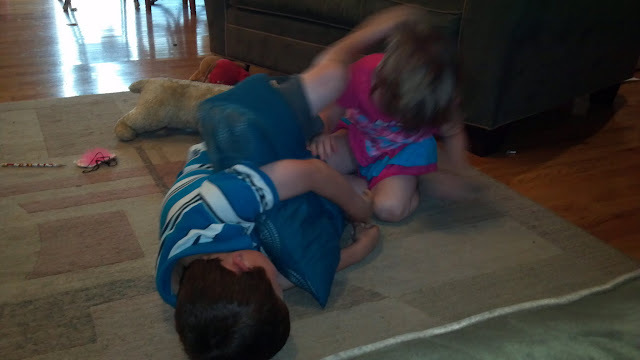 After dinner, dad took the kids in the living room and wrestled for a minute, then started singing primary songs. The reaction *I* get when I try this same tactic? Whine-whine-whine we don't want to sing, blah blah blah. When dad does it? Everyone sings. 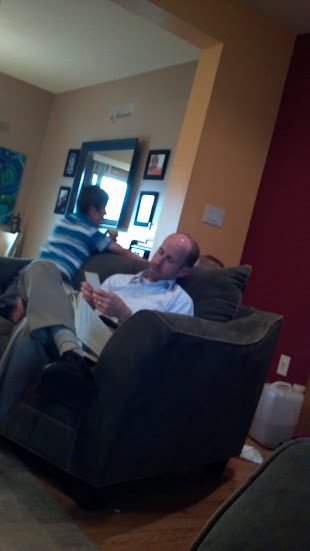 By the time I was done in the kitchen, the kids were sitting REVERENTLY with dad on the couch and FHE commenced. My husband scored HUGE dad points last night.